I posted two more land shanties over at Justin Stone and the Sea of Tuscumbia. Like W. Wiggins at the end of Dazed & Confused sit back against the bed's headboard, put the headphones on and turn up. There is only one way to hear what is happening. 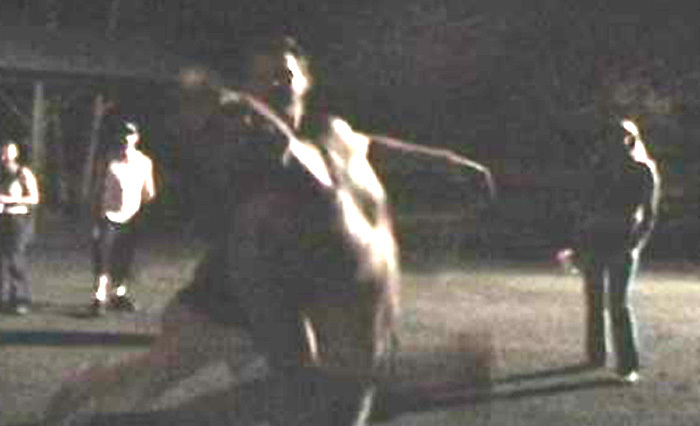 Ready gets punched the hell out by Renfro in a still from motel, glimpse. To help support this movie please bury a shiny kernel of your love in the back yard. We will dig you up in one hundred years, and there shall be cause to celebrate. Tomorrow we drive into Houston to get some Aerosmith tickets.